Leo Buscaglia, known as “Dr. Hug,” was the author of a series of best-selling books on loving and human relationships. Born in 1924, he was the son of Italian immigrants in Los Angeles. He earned a bachelor’s degree in English and speech, a master’s degree in language and speech pathology, and a Ph.D. in language and speech pathology. Dr. Buscaglia was a supervisor of special education in Pasadena City schools from 1960 to 1965 and then taught special education and counseling as a fac-ulty member at the University of Southern California School of Education. In the 1970s he started a class titled Love 1A, combining sociology, psychology, and everyday wisdom. His first book, Love, came out in 1972 and examined the phenomenon of hu-man love as the one unifying force in life. Overall, Dr. Buscaglia wrote more than a dozen books and sold more than 11 million copies in 20 languages. After retiring from teaching, Dr. Buscaglia served on the USC School of Edu-cation’s Board of Councilors. 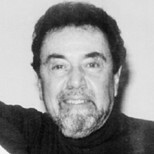 In 1984, Dr. Buscaglia founded the Felice Foundation. He established the Foundation to give special aid and attention to those who have dedicated them-selves to helping one another. The Felice Foundation is structured around the dynamics of sharing and giving and influencing others to do the same. Felice is an Italian word for peace and joy. • Don’t smother each other. No one can grow in shade. • Too often we underestimate the power of touch, a smile, a kind word, a listening ear, an honest compliment, or the smallest act of caring, all of which have the potential to turn a life around. • Hold on to your dreams for they are, in a sense, the stuff of which real-ity is made. It is through our dreams that we maintain the possibility of a better, more meaningful life. • A wonderful realization will be the day you realize that you are unique in all the world. There is nothing that is an accident. You are a spe-cial combination for a purpose—and don’t let them tell you otherwise, even if they tell you that purpose is an illusion. (Live an illusion if you have to.) You are that combination so that you can do what is essen-tial for you to do. Don’t ever believe that you have nothing to contrib-ute. The world is an incredible unfulfilled tapestry. And only you can fulfill that tiny space that is yours. • A single rose can be my garden...a single friend, my world. • Change is the end result of all true learning. • Don’t hold to anger, hurt, or pain. They steal your energy and keep you from love. • Never idealize others. They will never live up to your expectations. • What we call the secret of happiness is no more a secret than our will-ingness to choose life. • Your talent is God’s gift to you. What you do with it is your gift back to God. In 1969, one of Leo Buscaglia’s students committed suicide, and her death led him to begin an experimental class on personal growth at his university. He called it the “Love Class.” Buscaglia’s role was more of a facilitator than a teacher, with hopes that he and the students would guide “each other closer to an understanding of the delicate phenomenon of human love.” His book, Love, is an outgrowth of this class, and this is where I recommend that you get started. • Real love always creates, it never destroys. In this, lies man’s only promise. • One cannot give what he does not possess. To give love you must pos-sess love. • Love is open arms. If you close your arms about love you will find that you are left holding only yourself. This book, which started his writing career, is the first of many gifts that Leo Buscaglia gave to the world.